More energy, less stress, better sleep, happier lives. Isn't that what we all wish we had more of? Well, the solution is, quite literally, under your nose. 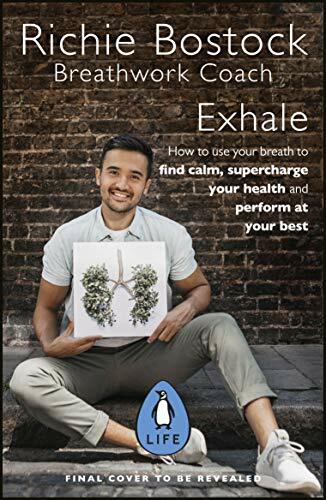 From leading Breathwork practitioner, Richie Bostock, comes Exhale - a guide to learning the transformative power of breathing to help you lead a happier, healthier life. With over 40 exercises, experience the life-changing effects of Breathwork and cultivate your own breathing toolkit. With techniques inspired by traditional Sufi meditation and practices implemented by the Navy SEALS, Richie's Breathwork plan will help you find the solution to life's everyday challenges, in as little as ten-minutes a day. Once confined to the secret practices of eastern masters and spiritual gurus, Exhale will help you master your physical, mental and emotional states in the comfort of your own home. Whether you're looking to reduce stress, improve creativity, tackle back pain or treat chronic ailments, conscious breathing has benefits for everyone. Greater health and happiness is only a few breaths away.